Homemade Christmas gifts are extra special to the recipient because they are heartfelt and unique. If you have a lot of gifts to get for teachers, friends, or family, these DIY Christmas gifts will save the day. Not only are they easy to make but most of them are very affordable. Candles are a great gift item and it’s easy to make your own. When you make your own, you can pick the scent and the color. To make a more interesting design, layer different colors of the wax like these. Then embellish the jar to match the candle. 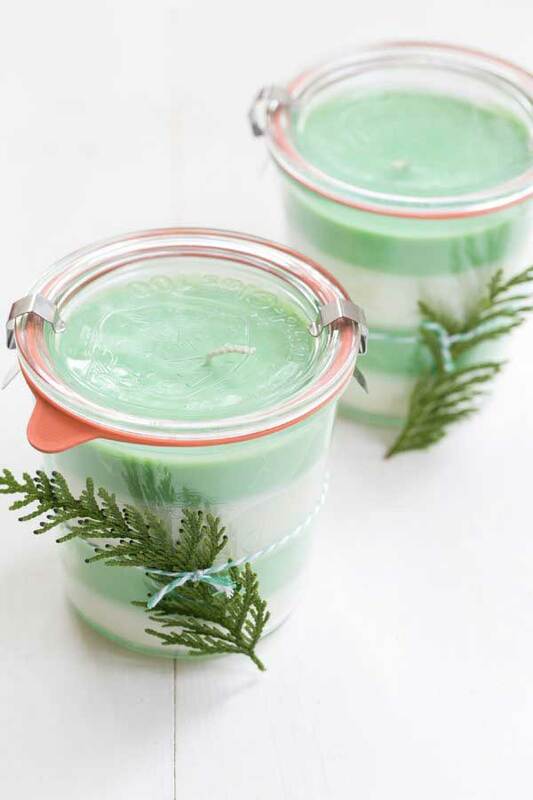 I love how these candles are pine scented and have pine as an embellishment. If you would prefer to give a more rustic look to a glass candle holder, you can embellish one with birch twigs. However, there are other options for decorating a glass holder. 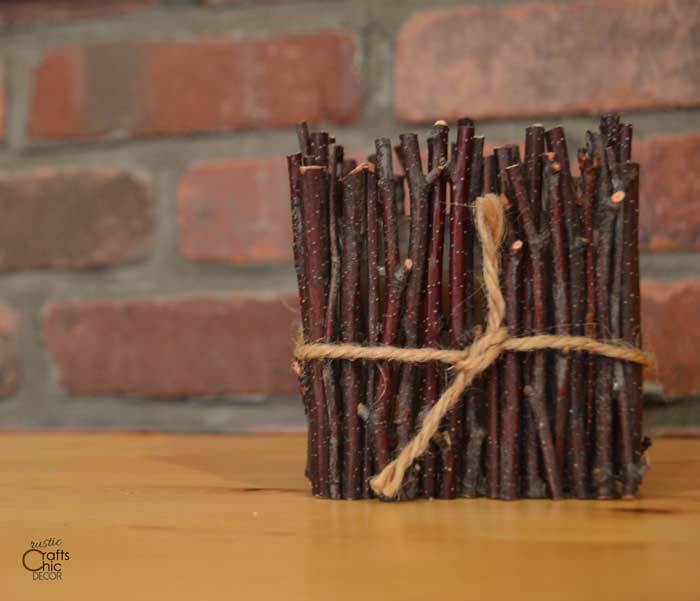 Instead of using twigs, you can use things like cinnamon sticks or pencils for a teacher gift. If you are using cinnamon sticks, you may want to also use a cinnamon scented candle. 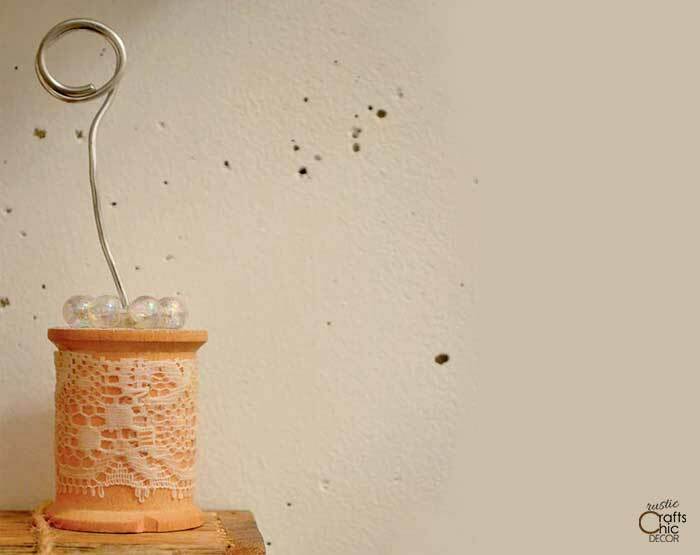 Use a holder like this for a candle you make yourself for even more customization. Another idea that is great for holding tea lights is making a candle holder from a birch log. 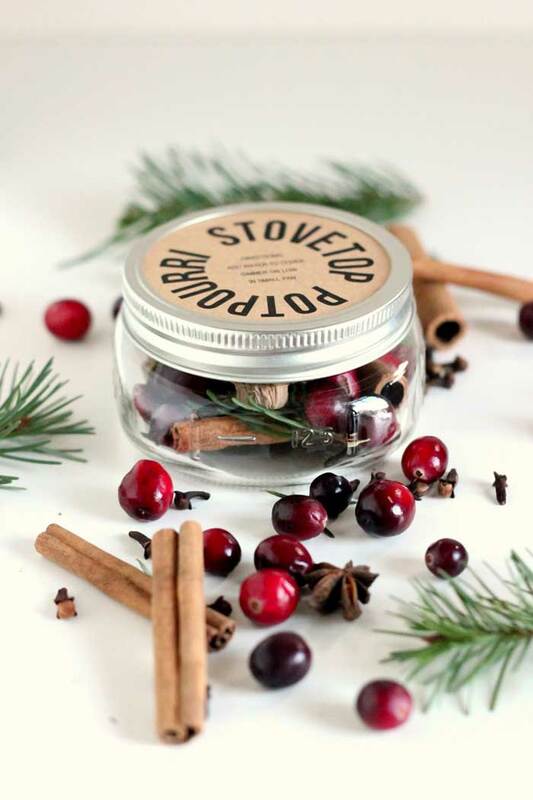 Along the same line as candles is stove top potpourri. The idea is to come up with a fresh mix of fruits, spices and other natural scents to package in a jar. When a person wants to use the potpourri, they just put it in a small pan, cover with water, and simmer. The wonderful aroma fills the house like a candle. 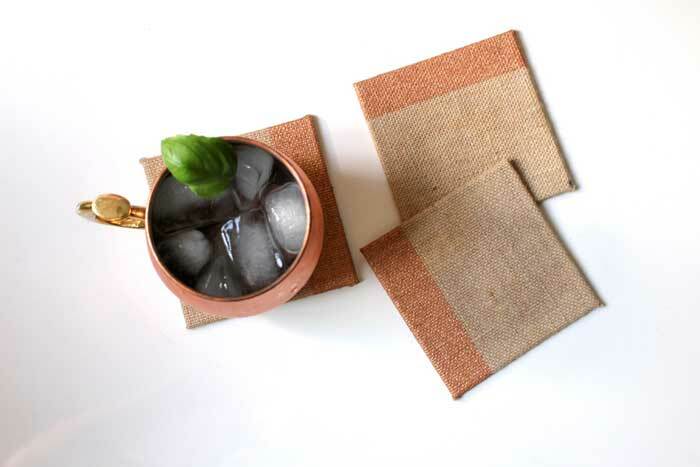 These burlap coasters look so stylish with the copper paint. The best part is that they are super easy to make so you can make a lot of them! Keep them on a bar cart for serving up a Moscow mule. 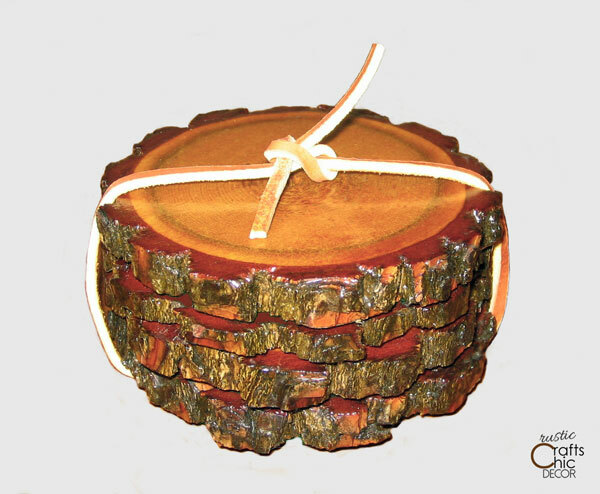 Rustic log coasters not only look great but they are practically free to make. All you need is felt for the bottom and polyurethane to coat. You can get different looks depending on the type of log you use. A birch log would also be pretty to use with the white bark. It’s a cleaner look for a rustic chic or farmhouse style home. 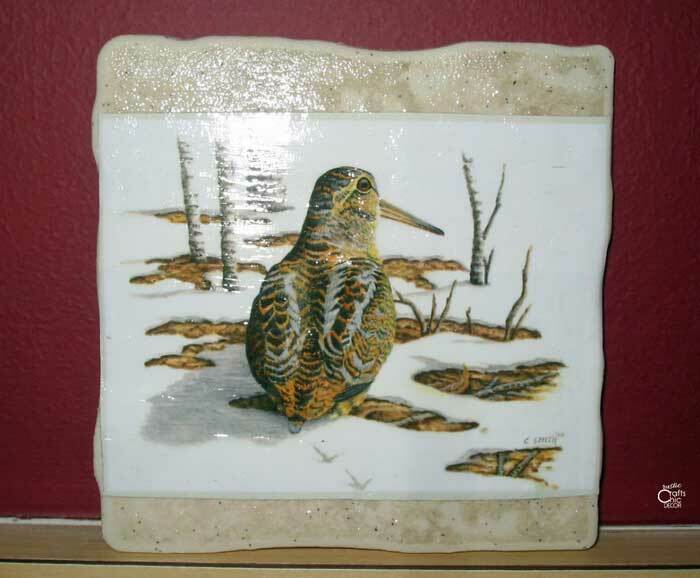 Another idea for a coaster gift is to use ceramic tiles. If you have some leftover from a tiling project, like me, this DIY is super affordable. Otherwise, you can buy square tiles for pretty cheap. I simply decoupaged images from a wildlife magazine to the tiles for use at our cabin. Other magazines will offer images of flowers or patterns that you might want to use. For a different look, use square white tiles as a base for drawing out words or shapes with a paint marker. You can get really creative and personalize tile coasters this way. A unique gift idea is to make a picture frame from an old book cover. Most people have pictures to display and would appreciate a fun way to do that. This is especially a nice gift for book lovers. 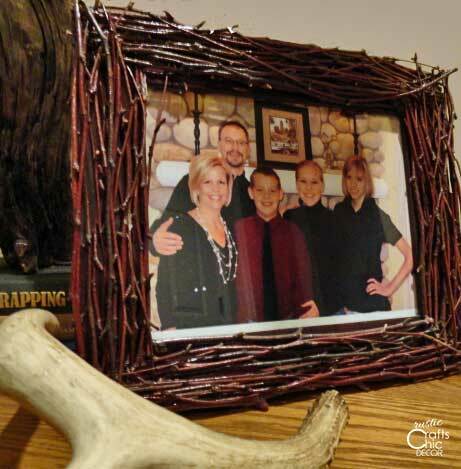 To make a rustic picture frame to give as a gift, you need to collect some birch twigs. Birch twigs are thin and flexible which make them perfect for decorating a frame in this way. I bought a plain flat wooden frame from Hobby Lobby to use. The twigs that I cut were all about a foot long. To start, I just lined up a few twigs on each edge of the frame and glued them down with hot glue. I continued to add twigs and kind of wove them together at the corners. Some were on top of the perpendicular twigs and some were under. I just kept adding and weaving until the wooden frame was covered. Once I had all of the twigs in place, I sprayed them with a gloss polyurethane. Find a lot more ideas for DIY picture frames at my post, creative picture frames. Besides picture frames, another way to hold photos is with a little desktop holder. This one uses a vintage thread spool as a base but you could also use logs or any other item that has a hole in the top or is able to be drilled. 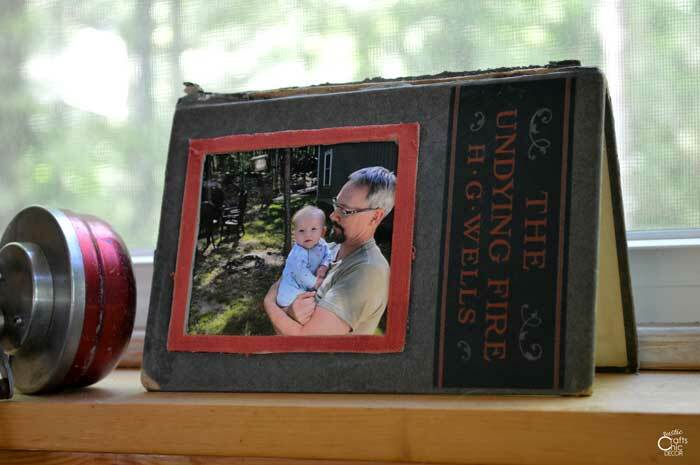 Maybe along with the photo holder you include a photo of a grandchild, niece or nephew, or a friend. For more ideas for DIY Christmas gifts, check out: 20 Last Minute Gift Ideas.